RGB are recycled children's bikes. I developed the name and logo. RGB stands for red, green, blue, the three colors of white light. But also, for Recycled Green Bikes. 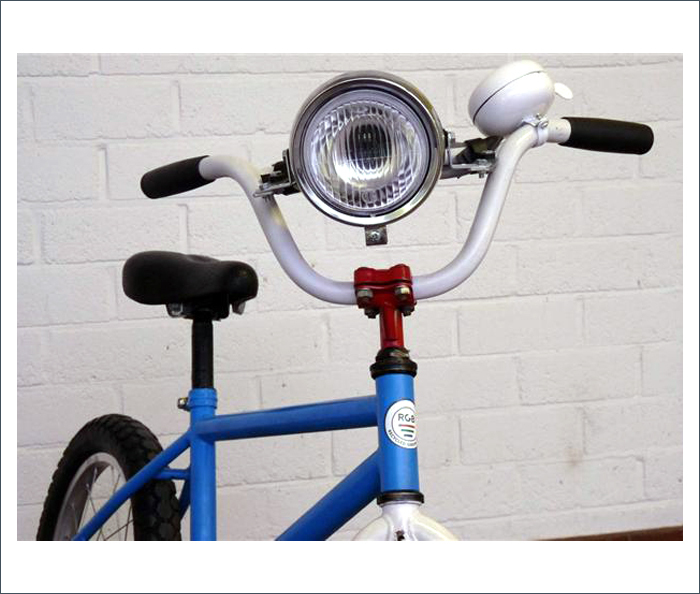 The colors of white light stands for safety, therefore all the bikes have a great big light at the front. The bikes are painted in red, green or blue, wit all a different white accent somewhere. For the big nice bells I developed Knarretje stickers.